Offering a stunning view of the Maroon Bells-Snowmass escarpment near the city of Aspen, Conundrum has a main pool that will fit fifteen people comfortably, plus a cooling pool that’s great for children. It’s all outdoors and no matter which way you look you can see either Cathedral or Castle Peak — two of the most spectacular mountains in the entire Rockies. 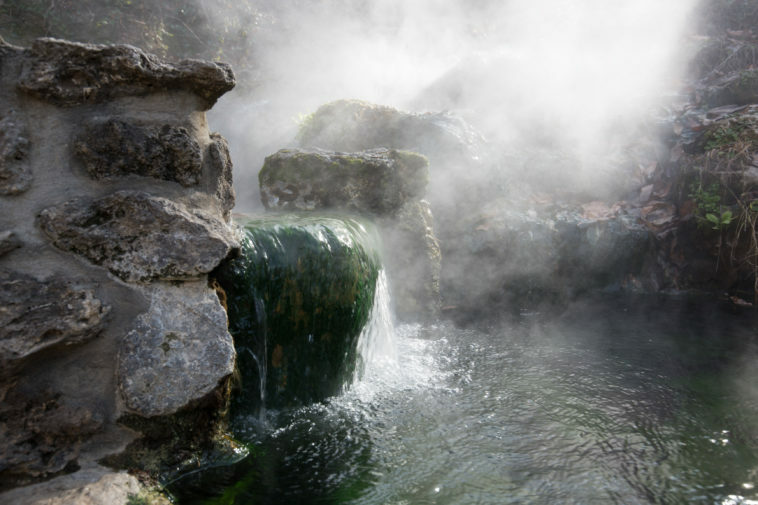 Known as a spiritual retreat for over a century near Big Sur in California, Esalen Hot Springs features a wide pool of artesian water loaded with a rich blend of healing minerals. There are inexpensive facilities in the area, plus several yoga and meditation centers nearby that offer visitors a variety of spiritual techniques for cleansing the mind and body. Hot Springs is the old name of this quaint New Mexico town — in 1950 the town became Truth or Consequences, named after the famous game show. There are several different hot spring pools in town, all inside spacious comfortable buildings for year round use. If you want to rough it in the great outdoors, there are several outdoor pools a few miles out of town.